With 200 days to go until Brexit, over two-fifths (41%) of UK SMEs have not made any preparation for the UK leaving the EU new research from OCO Global has shown. The levels of preparation are even more stark when comparing businesses that export versus those that operate domestically. Almost three-quarters (73%) of SMEs that currently export have made preparations in their business, while only a third (33%) of domestic-only businesses have sought to get their business in shape. “There is a clear divergence between those businesses that are already trading overseas versus those that only operate domestically on preparing for Brexit. 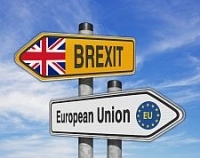 Almost two-thirds (64%) of SMEs stated that they had a plan in place for Brexit, however once again there were differences between those that are trading internationally (76%) and domestic (42%) businesses. In preparing their businesses for Brexit, SMEs have focussed their efforts on business development (65%), pricing strategy (60%) and reviewing their current staffing levels (55%). Findings from the Brexit survey also revealed different levels of preparedness across sectors with IT, business services and construction being the most prepared. Meanwhile, the hospitality & leisure, professional services and transport are much less prepared. With the Government recently launching its new Export Strategy, designed to make the UK a “21st Century Export Superpower”, businesses have indicated key areas that they need support when trying to export: Access and introductions to potential customers (26%), Market information (22%) and in-market presence and support (22%). “The Government has released its guidance papers on a possible ‘no-deal’ but put simply, a no-deal is a no-no. At the same time the new Export Strategy is ambitious and puts the responsibility squarely on the shoulders of UK businesses. “The impact of a no-deal is wider than our trading relationship with the EU. It affects the UK’s relationships elsewhere and puts businesses at a competitive disadvantage when having to trade under WTO rules. Charging import VAT is a duty of customs, and as a result of Brexit, companies will now face a cashflow challenge for trading cross border with the UK. Similarly, cashflow problems will be compounded for companies that need to hold additional inventory as insurance against potential border delays. Businesses should take VAT changes into account when budgeting for and purchasing stock and services, so as to ensure all parties receive payment at the required time. In order to understand the impact of Brexit, companies need to map and validate their supply chain models. A risk for Irish businesses, for instance, is the risk of ‘double duty’ where duty mitigation measures are not put in place. A product sourced from the UK, which has been received from a non-EU region, such as China or the US, may have significant customs compliance requirements. There will be a strong reliance on UK partners to facilitate the management of such compliance measures. British companies will need to think more strategically about customs and trade. On import and export, there will be a requirement to file customs declarations for all goods imported and/or exported to or from the UK. Access to customs and trade knowledge will be essential for day to day operational activities. This is in addition to building a robust customs function to support products crossing international borders. Authorised Economic Operator (AEO) status is a well-established ‘trusted trader’ customs programme, in place in the EU since 2008. After Brexit, AEO could provide for faster customs clearance by providing priority access to companies who have been pre-assessed. Companies should look to incorporate AEO into their business, where possible, as a contingency measure for dealing with the potential of border delays. Intellectual property protection, including patents, trademarks, registered designs and copyright could all change after Brexit. The British Government says European patents will still apply in the UK but the UK is ‘exploring options’ in other IP areas, such as trademarks and designs, because in many cases these will lapse after Brexit. Businesses must keep close eye on the IP legislation around their particular sector, so as to protect their unique services and offerings.